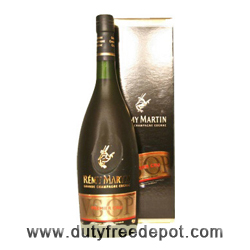 Remy Martin V.S.O.P Premier Cru Cognac is a fine Champagne cognac (brandy from the Cognac region of France) from Remy Martin dating back to 1724. Darker amber color than the VS. The VSOP stands for very superior old pale. Remy Martin V.S.O.P Premier Cru Cognac offers aromas of concentrated vanilla, dried apricots and intense jasmine, Its multi-layered in texture and lingers on the palate.